Let's go back two-and-a-half years to April 2007. To the objection of many (myself included), Dallas Mavericks forward Dirk Nowitzki appeared to be a mortal lock to win the MVP award. That season, Dirk averaged 24.6 points and 8.9 rebounds per game. While these are stellar numbers, Nowitzki had better numbers during each of the two seasons prior. Nowitzki essentially won the award by default, as he was the best player on the best team. The Mavericks had just finished the regular season 67-15 as they headed into a first-round playoff series with the Golden State Warriors. Shockingly, the 67-win Mavs came out and were baffled by the high-energy Warriors, and lost the series decisively in six games. Dirk's numbers for the series: 19.7 points, 11.3 rebounds per game. After that series ended, Nowitzki was awkwardly named the NBA's MVP, after having been jettisoned from the playoffs in embarrassing fashion. This entire series of events was so terrible for Nowitzki that he went on a backpacking excursion through Australia for several weeks just after the season ended, in an effort to help him get away from basketball and everything that had recently transpired. During the 2008 and 2009 seasons, Nowitzki went out and put up the same old stellar Nowitzki numbers, but because Dallas had taken a step back, nobody really noticed. Dirk's credibility had taken a massive hit because of the Golden State series, and he had gained the reputation as a guy that can't lead and carry a team by himself. Because of his team's feeble exit from the playoffs that year, Nowitzki's MVP award seems hollow, as if that entire Mavericks season had never even happened. This season, the 31-year-old Nowitzki has been better than ever, yet he's never mentioned in the same breath as guys like LeBron James, Kobe Bryant, or Dwyane Wade. However, maybe this is all for the better. Nowitzki has never been one for the glitz and glamour, and I'm sure he's just fine flying with his team under the national radar. So far this season, the Mavericks sit at 9-3, atop the Southwest Division. Dirk Nowitzki's numbers have been gaudy. He's averaging 27.5 points, 9.3 rebounds, and 1.6 blocks through 12 games, including a season-high 41 points in Wednesday night's OT victory over the Spurs. In that game, Nowitzki put in several key baskets down the stretch, including a swooping tip-in with 14 seconds to go in regulation that put Dallas ahead by two. 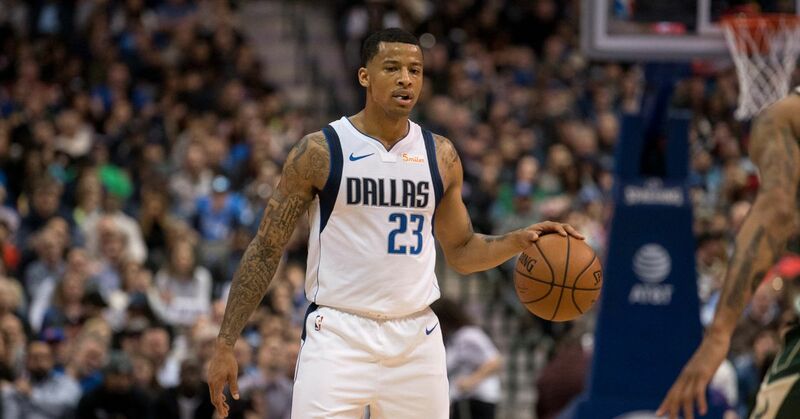 In overtime, he scored five points, none bigger than a three pointer with 1:15 to go that essentially put the game out of reach for San Antonio. In the previous game, Nowitzki scored 32, including a game-winning fadeaway jumper at the buzzer in OT that rattled all over the basket before dropping right through. Nowitzki has been carrying the Mavericks so far, without much help from a supporting cast. Dallas' second-leading scorer is Jason Terry, averaging 17 a game. Terry, a reliable three-point specialist, has struggled from distance so far, shooting a measly 32 percent from beyond the arc. Several other key parts for Dallas, including Josh Howard, Shawn Marion, and Erick Dampier, have been battling injuries and have missed several games apiece already. Despite all this, Dallas has the second-best record in the West so far, a half-game behind 10-3 Phoenix. Nowitzki and his Mavericks are flying high, while still managing to fly well below the radar. And I'm sure Nowitzki is just fine with that.